Awareness about mental illness and addiction has grown in the Jewish community, but there is yet stigma associated with these issues. 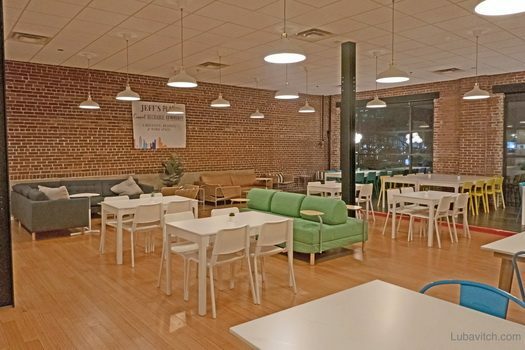 Jeff’s Place, a cafe and coworking space that hosts support groups and twelve-step meetings after hours, newly opened by Chabad Intown in Atlanta, hopes to change that. 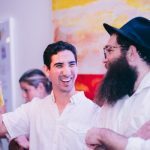 The cafe, part of Chabad Intown’s new building on the Beltline, is a gathering place for Jews to work and hang out together in a kosher environment. 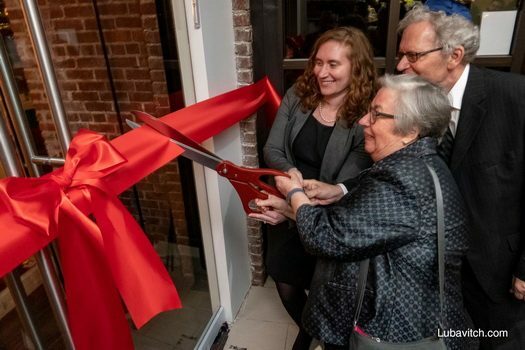 But it took on a deeper element when Jon and Veronica Kraus dedicated the cafe to their son Jeff, whom they lost to addiction in November, and opened it up to the recovery community. 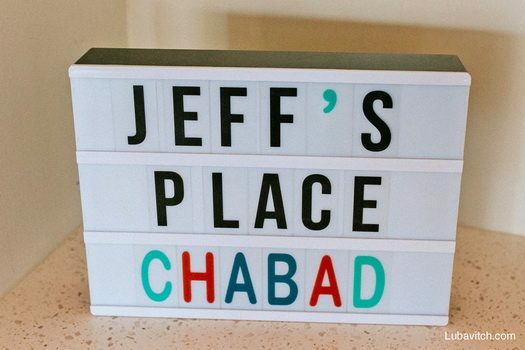 Jeff spent the last three years of his life in Atlanta for treatment and was an active member of Chabad Intown, which is directed by Rabbi Eliyahu and Dena Schusterman. “They embraced him,” says Veronica Kraus, a Buffalo, New York, resident. She explains that Jeff, who passed away at age thirty, grew up in a secular household but learned more about Judaism when his treatment center required participation in a weekly religious activity. He tried a church, then Jewish congregations before eventually ending up at Chabad. 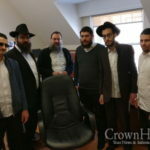 He developed a deep commitment to Judaism through his ongoing attendance at the center, especially his weekly study sessions with Chabad Intown’s Rabbi Ari Sollish. “We saw the change it wrought him—not just in the outward observance of Judaism but also an inner calm and grounding,” Kraus says. 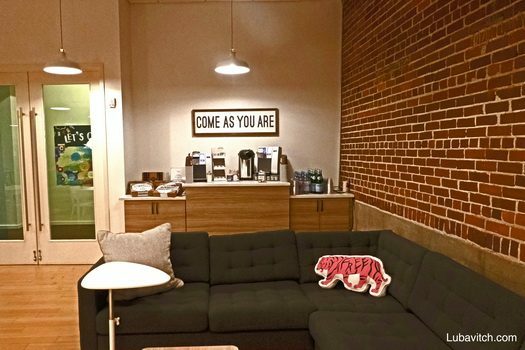 The cafe will host three weekly twelve-step meetings, quarterly addiction and recovery symposiums, and two weekly informal gatherings for individuals in recovery. 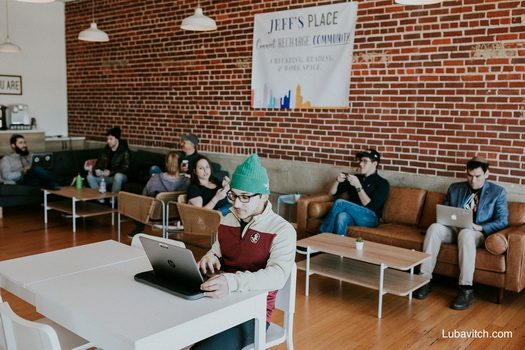 Though recovery events are open to all, Jeff’s Place is unique because it makes support available to “Jews who may feel uncomfortable attending a meeting in a church and, therefore, might not reach out for help,” Kraus explains. The cafe will also host lectures and workshops that bring awareness to mental health through the lens of Judaism. Last week, relatives and friends of people suffering from addiction joined Families Anonymous, a twelve-step support program. 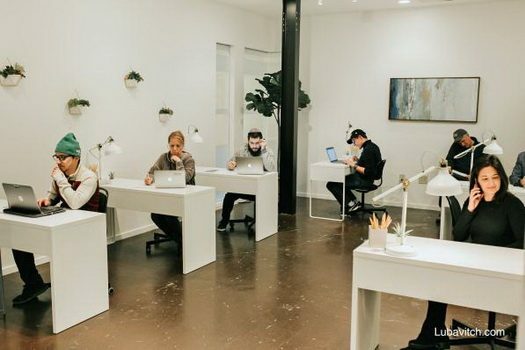 The co-working space is already being utilized as well. 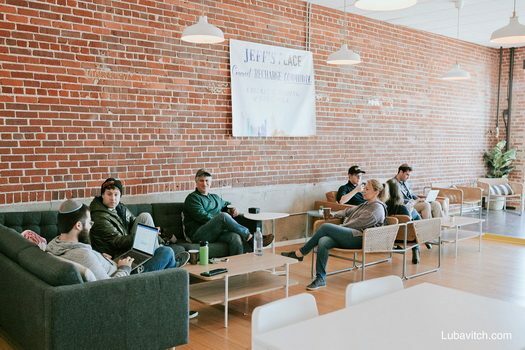 In its first week, fifteen people stopped in to plug in their laptops, grab a coffee, and connect in the shared space. Future plans include providing fresh food prepared on-site and packaged snacks already available. “Think a Kosher Starbucks,” says Schusterman. 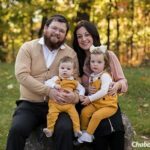 The Krauses are grateful to the rabbi and the Chabad family not only for “giving Jeff a meaning that most people search for their whole lives,” but also for “giving us the opportunity to create something good from this tremendous loss.” They hope Jeff’s Place will provide the same sense of belonging that Chabad gave their son.